NASCAR has traditionally assisted teams in sponsor procurement. In the early days of the sport, founder Bill France, Sr. would often line up local sponsors and “travel money” to assist drivers down the road to the next race. He also vouched for competitors when they approached local banks for loans to finance their racing operations. Procuring multi-million dollar sponsorships directly, however, is something entirely new, and last week’s report prompted cries of favoritism from some corners of the sport. NASCAR’s efforts on behalf of Patrick and Wallace (an African-American graduate of the sport’s Drive for Diversity program) are probably unfair, since other drivers do not receive the same level of assistance. But in the 60-odd year history of NASCAR, “fair” has not gotten the job done. In the year 2017, it is unconscionable that the headline Monster Energy NASCAR Cup Series has just one woman and no persons of color in the starting lineup. The Drive 4 Diversity has begun to show signs of life, with Kyle Larson and Daniel Suarez now full-time competitors in the MENCS ranks. It has been more successful in producing minority crewmembers, but it has not done nearly enough, fast enough. The Force sisters are major stars. Virtually every other major form of motorsport boasts women and minorities in their starting fields on a weekly basis. Willy T. Ribbs (Sports Cars) Lewis Hamilton (Formula One) and Antron Brown (NHRA) have all won national and/or world championships. Shirley Muldowney, Angelle Sampey and Erica Enders-Stevens are former NHRA World Champions, while Shelly Anderson, Melanie Troxell, Leah Pritchett, Alexis Dejoria and the Force sisters – Ashley, Courtney and Brittany – are all winners in NHRA National event competition. Lyn St. James won twice at the 24 Hours of Daytona and again at the 12 Hours of Sebring, while Jutta Kleinschmidt won the grueling Dakar Rally in 2001. In marked contrast, prior to Wallace’s four “fill-in” races with Richard Petty Motorsports earlier this season, NASCAR had not had a black face in the starting field since Bill Lester made two fleeting starts for Bill Davis Racing in 2006. At a time when women and minorities play major, winning roles in virtually every other branch of motorsports, NASCAR’s optics are beyond abhorrent. 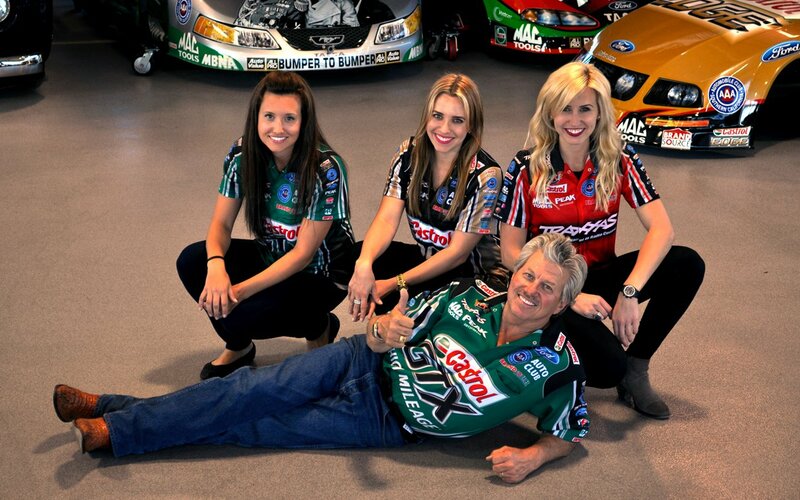 Is it any wonder that outsiders view stock car racing as an exclusively white-male sport? We can do better, and we must. 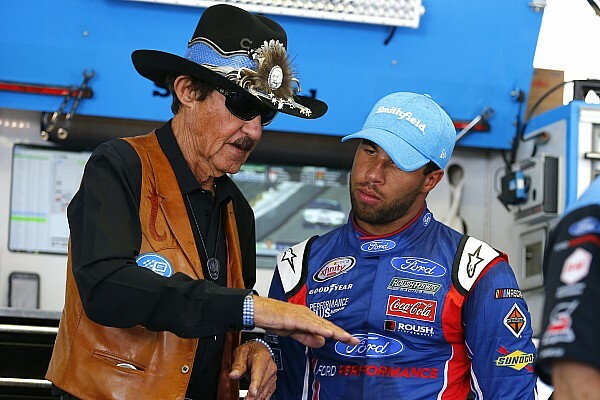 Bubba Wallace deserves a shot at the brass ring. 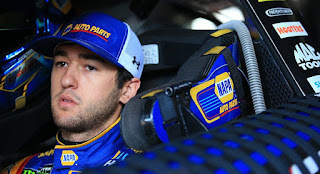 In four 2017 starts at RPM in place of the injured Aric Almirola, the Mobile, Alabama native finished 26th at Pocono Raceway, 19th at Michigan, 15th at Daytona and 11th at Kentucky. He improved in every start, despite racing with a crew and crew chief that he had never met before. 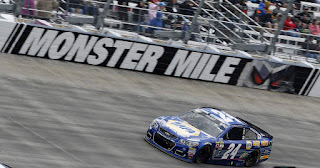 His average finish for those four races was 17.8; nearly three spots better than Almirola’s season average of 20.5. Almirola is expected to move to the elite Stewart-Haas Racing organization next season, with full-season sponsorship from Smithfield Foods. Wallace, meanwhile, saw his Roush Fenway Racing NXS team shut down after just 12 races this season due to lack of sponsorship. He was fourth in the championship standings at the time. Patrick has admittedly not been as successful as most observers -- and even Danica herself -- would have liked. But over the last six decades, thousands of white male drivers have been given the opportunity to fail at the highest level of our sport. That opportunity has been extended to less than a half-dozen women. Did Johanna Long get a fair shot? When Erik Jones won the 2012 Snowball Derby, that win led directly to a handful of ARCA starts and a seat with Kyle Busch’s potent NASCAR Camping World Truck Series team. When Johanna Long won the same race in 2010, it earned her two part-time seasons with the chronically underfunded ML Motorsports Xfinity Series team and an unheralded exit from the sport. If that doesn’t bother you, it should. Something, my friends, is not adding up. Critics say it is not NASCAR’s job to help some drivers, but not others. Well, we’ve been waiting since 1948. The strategy of patience has failed, and it’s time to take action. Other teams may react badly to NASCAR’s new, hands-on policy of selective sponsorship assistance, wondering why the sanctioning body never helped them the way they are reportedly helping Wallace and Patrick. After 68 years of exclusion, it’s time for NASCAR to tilt the scales unfairly in the other direction for a while, by any means necessary. Tough luck yesterday, young man. It looked like you finally had the brass ring in your hand and were set to become the only driver not named Jeff Gordon to drive a No. 24 car to Victory Lane in a NASCAR Premier Series race. As we all know, it didn’t quite work out that way. Kyle Busch stole the lead away within sight of the white flag, driving off into the sunset with his fourth win of the 2017 season and his second in as many weeks. It happens. Believe me, it happens. Was there anything you could have done to stop it? In hindsight, sure there was. You could have chosen a slightly different path through lapped traffic in the final laps. You could have blocked the living bejeezus out of Busch with two to go, or had your boys shave a couple of tenths off every pit stop along the way. But none of that really matters. You did the best you could, making what seemed to be the smartest decisions you could at the time, then living with the consequences. That’s what racing is. That’s what racers do. And now, it’s time for another important decision. How do you handle what happened yesterday in the First State? In recent years, we have all witnessed your propensity for “going hard on yourself” in the aftermath of bad days. Or even good ones. We have seen you heap all the blame on your own diminutive shoulders, criticizing your own performance to the point of microscopic analysis. At times, it has been like watching a man perform his own autopsy, with his heart still beating. And with all due respect, that’s something you cannot afford to do right now. You see, Chase, there comes a point where you can simply be too damned hard on yourself. Disappointment in the aftermath of a day like yesterday is both normal and understandable. Self-mutilation is not. 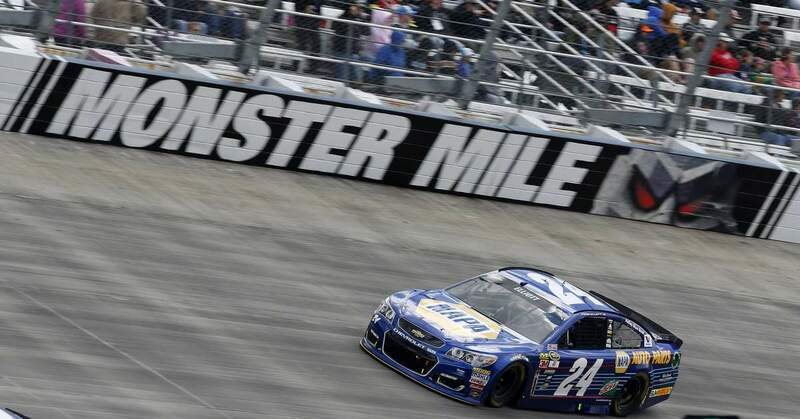 If there is something to be learned from what happened Sunday at Dover – something different to be done or a critical mistake to be corrected -- take that lesson and move on. Don’t dwell on failure, lest you become enveloped in the negativity of it all. In a sport where there is only one winner and 39 losers each week, it’s easy to get sucked into a black hole of self-doubt. But your performance yesterday at Dover was spectacular. It was admirable. And it was something to be proud of. Champions have an uncanny ability to compartmentalize their emotions; avoiding the urge to fly too high on good days, or dip too low on the bad ones. Set your altimeter on the far horizon and chart a steady course. What’s done is done, and yesterday’s disappointment can do you nothing but harm today. You’re not the first driver to have your heart ripped out at Dover, and you certainly won’t be the last. They don’t call it “The Monster Mile” for nothing, you know. Right now, we are just a few short days away from the Bank Of America 500 at Charlotte Motor Speedway, and you and your team are well-positioned to advance to the all-important Round of Eight in the 2017 Monster Energy NASCAR Cup Series Playoffs. It’s time to get your chin up, rally your team behind you and refuse to let yesterday’s failure become an albatross around your neck. You’re too good for that.